Walker Park , also known as Municipal Park and Light Brigade Field was a baseball park in Blytheville, AR and was the home field of the Blytheville Giants of the class D Northeast Arkansas League from 1937-1938. The history of Walker Park began in 1936 when the Works Progress Administration built a new $100,000 public park and fairgrounds on the east side of Blytheville. The project included an artificial lake, swimming pool, exhibit building, walking paths and a half-mile racetrack. A large grandstand, seating 4,000, was located in front of the racetrack and was used for rodeos, circuses and political events. Walker Park was dedicated on July 3rd-5th, 1936 and was named after John B. Walker, who sold the property to the city of Blytheville. Only a few months later, the WPA returned to make improvements to the park, including adding a lighted athletic field in front of the grandstand inside the racetrack. 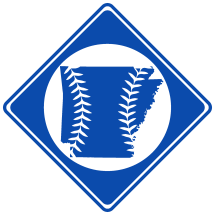 The next spring, the Blytheville Giants entered the Northeast Arkansas League and leased the new field at Walker Park to play at. The Giants went on to play there for the next two years, winning the league championship both years. Walker Park never hosted professional baseball again, but in the following years, American Legion baseball was played at the park, which became known Light Brigade Field. The grandstand remained until October 13th, 1995 when a fire burned it to the ground. The field was used until recent years when the Blytheville Sports Plex took its place.